Located upstairs in the main lodge are 6 rooms, with either a full or a queen size bed. 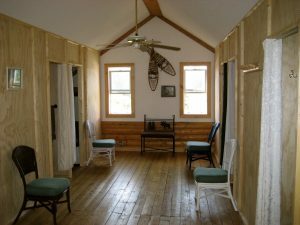 Guests get a full breakfast and the use of the lodge bathes with shower, the common areas including a full kitchen, laundry and wireless internet. These sleepers are perfect for the travelers in the Denali Park area that just need to stow and go or need long term affordability. The Loft is our best value. Each room sleeps two. Denali Park Lodging has never been more affordable under better conditions than this. Full use of the kitchen, bath and laundry meets travelers needs and is great for families or large groups. Call to check reservations or email for availability.